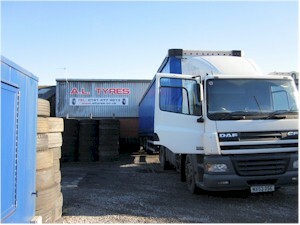 A L Tyres are located in Stockport about half a mile off the M60 at junction 27 (old M63 junction 13). To find us from J27 take the A626 north towards Manchester, at the roundabout take the first exit back towards Stockport town centre. This is Lancashire Hill. About 100 yards down Lancashire Hill take the first right into Wharf Street and then first left into Sheffield Street. The tyre depot is located about 50 yards on the left.